If you are using an OpenCart eCommerce store and you also want to record your orders in SalesAutopilot, then read on to find out how you can accomplish that. Important: vQmod is required for integrating your OpenCart eCommerce store with SalesAutopilot. If you haven't installed it already, click the link to find vQmod's installation video for OpenCart. Copy the admin, catalog and vQmod folders of the downloaded .zip file into the home directory of OpenCart (without changing the structure of the directory). Then, log in to OpenCart as admin. Click the "Extensions" tab and select the "Modules" option. 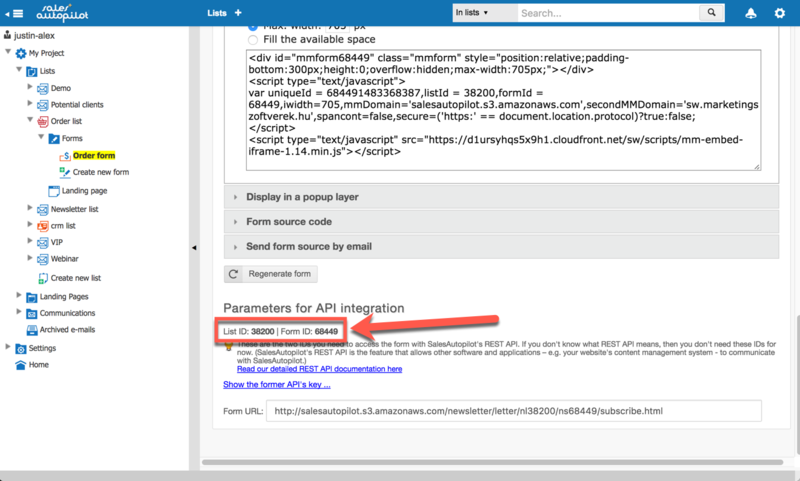 Find the SalesAutopilot module and click on its "Install" link. This will install the module. Then, an Edit link will appear. Click on it. Set the Status dropdown to "Enabled". 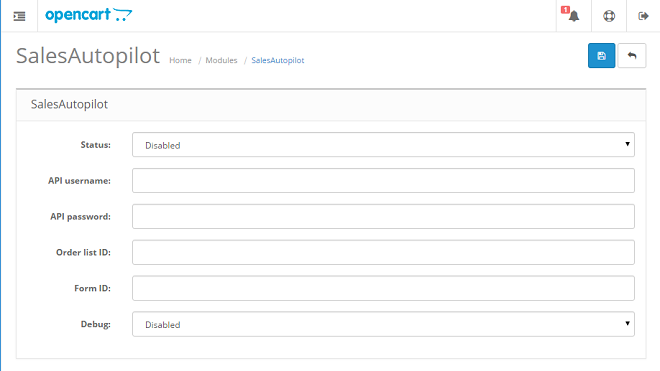 Then, open the SalesAutopilot order list that you want to integrate with your OpenCart eCommerce store. Make sure that the currency used by the order list matches the currency of your OpenCart eCommerce store. Next, open one of the order (signup) forms of the list. Scroll down to the bottom of the form summary page, where you can find the List ID and Form ID. Copy the List ID into the Order list ID and the Form ID into the Form ID field in OpenCart. If you encounter any problem while using the extension, set the value of the Debug dropdown to Enabled. This mode will record information from OpenCart that will help us find and fix the issue. When you have finished these settings, click the "Save" button. From this point on, every order submitted in your OpenCart eCommerce store will be recorded in the SalesAutopilot list you selected. Copy the admin and catalog libraries of the .zip file you downloaded into the main library of OpenCart (without changing the structure of the library). Then, log in to the admin interface of your OpenCart account, open the Extensions (puzzle icon) menu on the left, and select the Modules option. 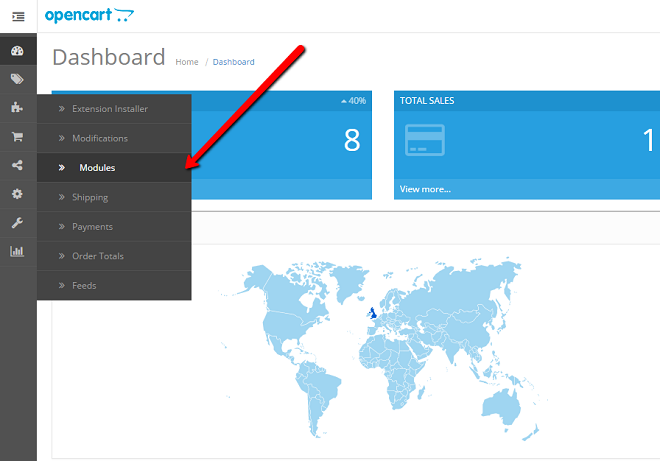 Find the SalesAutopilot module, and click on the Install (+ sign) icon. The module will be installed automatically. Once it has been successfully installed, the Edit icon will appear. Click on it. Copy the necessary parameters from your SalesAutopilot account into the appropriate fields in OpenCart, as outlined above in the OpenCart 1.x section. 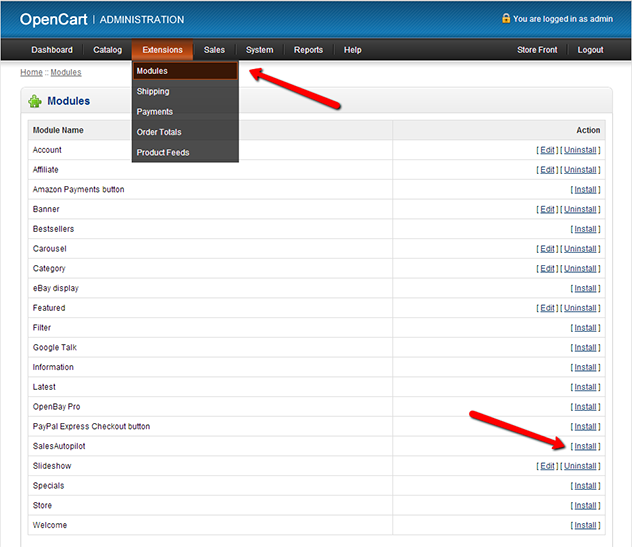 If you encounter any problems when using OpenCart, change the value of the Debug dropdown to Enabled. The Debug mode will record information in OpenCart that will help us find and fix bugs that are causing errors. When you are done with these settings, click on the Save button in the top right corner. From this point on, every order submitted in your OpenCart eCommerce store will be recorded in the SalesAutopilot list you selected.